In Warm and Cool White Colour. 135mm Length. 1500 Lumen. 15Watt R7S. Direct replacement for Halogen Lamps. It is now easy and more importantly safe to retrofit your LED lamps, our new R7S is straight swap for the old (big energy wasters) halogen HQI TS lights. 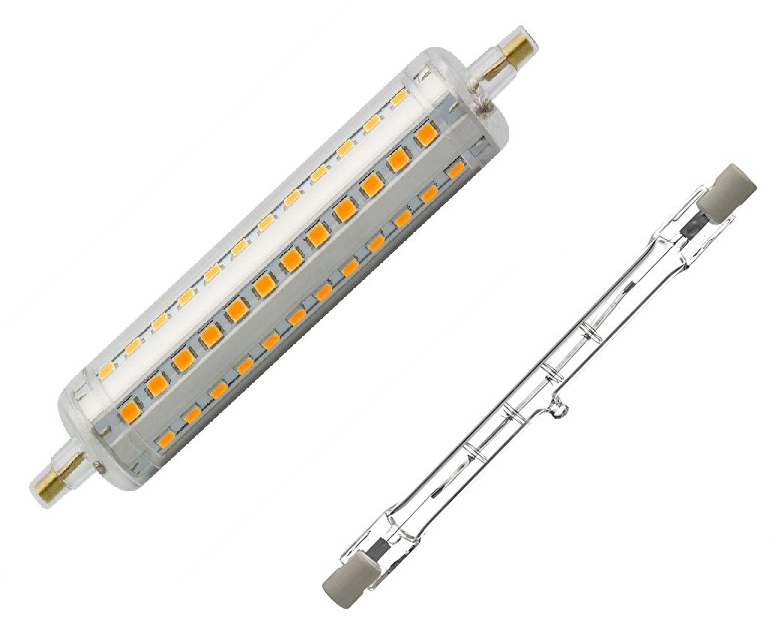 The length (end to end) is exactly 135mm, matching the dimmensions of the halogen version. There are 1444 SMD2835 LED chips that are mounted on a copper printed circuit board. This is the best method for cooling the electronics and the internal power supply.